In May 2018 I was invited to have an exhibition in Germany alongside Dr Jan Wylands and Ando Modular Aid. Paia Kukim - said out loud ' Fire Cook Em ' is Tok-Pisin, one of the multitude of languages in Papua New Guinea. These images follow some brief highlights of my time following the surgeons, nurses and staff of Interplast around Mongolia, Tonga, Samoa, Mongolia and India. This was my introduction to Lemeck, a brave young man who has been horrifically burnt as a child, with both hands sealed under scar tissue and his left cheek fused to his left shoulder. The next few days watching his transformation is something I will never forget. In this moment, he is about to undergo surgery he has waited 20 years for. Lemeck lays quietly on the operating table, awaiting Nkule the local Plastic Surgery trainee and Jack Justice ( real name! ) to begin anaesthesia. 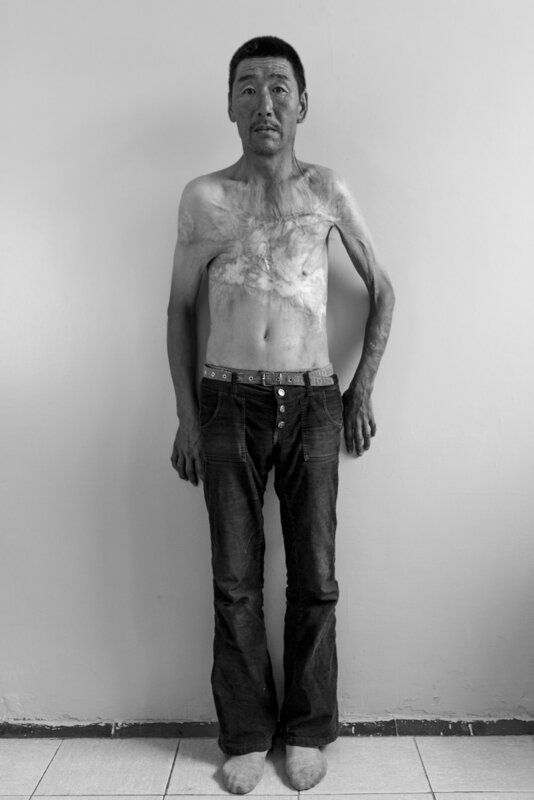 The full extent of his burns is visable, and upon touching his cold scar tissue I further understood his lack of mobilty as the skin felt like leather. Lemeck raises his arms for the first time in his life, and in a surreal moments asks to take my photograph as I've spent three days taking his. To my left, is his younger brother and carer who in the moment looks serious but I knew it came from fatigue after waiting for Lemeck to come our of surgery. We all had a good laugh after this moment, part of exhaustion, but also how Lemeck was suddenly the most mobile he had ever been. He later tore his stitches from moving too much, as it was hard for him to contain his excitment at regaing the use of his left arm. In Vanimo, a small village in northern Papua New Guinea, a young boy waits for surgery. At first this situation looks ordinary, but in reality it was everthing but. That morning we had an incredible storm, that broke a tree that was 3 stories high - which in turn smashed the power lines feeding the hospital. With no back up generator, the theatre lies in the dark. 5 patients that day lost the oppotunity to have their surgery, and will wait another two years before the Interplast team returns. This was my first encounter with a patient who's entire life had been defined by burn. Instead of being victimised after a oil burn as a child, he studied and became a social worker to help others. There was nothing Interplast could do for him physically, but more offer emotional support which is another vital part of care. A 18 month year old with Syndactyly is examimed - a condition where hands and feet are webbed. On top of the malnutrition, clefted lip and palate this young man faces many challenges. His treatment plan will take several operations, and many years to complete and it's the relationship of trust that parents have to keep bring their children back which forms a vital part of this exchange. 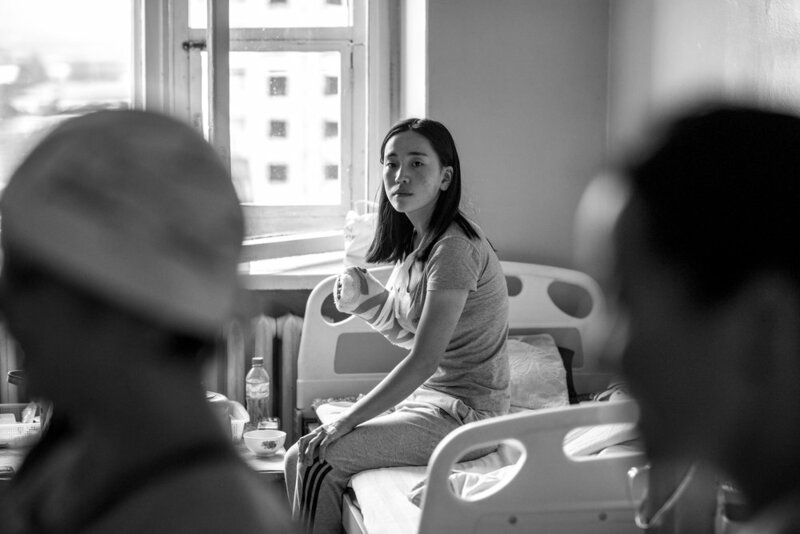 During our week in this small town in Northern Mongolia, the Interplast team triaged around 40 patients and quickly filled the operating list. On the second day, this young man who had been struck by lighting was brought to out attention, he was still in a state of shock when we met him and unable to speak. The lighting bolt left a path from his ear, through his chest and out his right leg. The Interplast team couldn't operate as he deteriorating, which brain scans further revealed swelling and anaesthesia would have posed a further risk. To this day I do not know if he recovered. This was a difficult scene to capture, I was very emotional and dispondent when I took it, as the overwhelming situation of scavengers struggling to survive around the rubbish tips of the capital came full circle to me. In that day I saw the full circle of migrants moving from the rural lands to a city, looking for a better life - and then having to exist off scavenging and been burnt or maimed as a result. Children having their future taken away from them, because the are left alone at home without school whilst parents scavenge. This informal Ger sits on flooded sewage and stolen power lines, the calm sunset juxtraposed by crying children. We spoke for an hour, and he explained his performance regarding a wild boar hunt, hence the tusk in his teeth. English, and to a greater extent an education helps the locals articulate their concerns around healthcare and it was facinating to discuss the challenges they face. A patient in Melghat, India and a moment where as a photographer you're really left changed after the capture. During pre-operative rounds I was asked to shoot this patient.She is from the tribes surrounding the hospital and was awaiting for her mastectomy procedure the following day. Clearly at this far stage it could only be palliative treatment. I've thought about this image for 10 months since I took it, and looking at it now I see a woman with incredible strength and pride who represents one side of poverty - limited access to healthcare. A young boy lies asleep in the dark waiting for surgery, whilst the team prepares out of frame. In this moment, the only sound is that of his heartbeat on the monitor. The 'stage' of a theatre is one I've become familar over the years, but I never loose the feeling of complete trust another human hands over to Doctor in this moment. The view into the wilderness from the hospital window. The thick walls built during Soviet era expansion, and a world away from the situation inside the ward. In the distance, a Ger and a herdmans quietly go about their lives as they have for hunderds of year - and the room I'm in is filled with the sounds of crying children and desperate parents looking to have their child selected for the operating list. The quietness of the view seems at odds with where I am. This young child has a severe burn covering her chest, hip and thigh. The skin has contracted to the point where, at 3 years of age, she is unable to walk due to the tension. Whilst it's easy to concentrate on the immediate plight, unresolved trauma like this will have a lasting affect on her life as without surgery she'll be able to talk, go to school or become a active member of her community. A 3 hour procedure by Professor Mark Ashton, and the local general surgeon Dr Stanley Bita, completely changed the trajectory of Bethany's life. 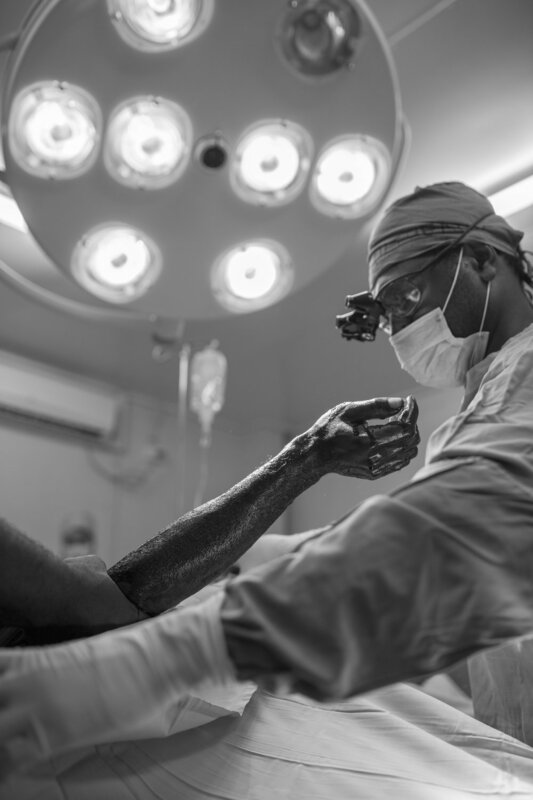 Dr Nkule Dunlop, one of only a handful of Plastic Surgery trainees around the country prepares his patient surgery to release a contracture. This hand posture immediately caught my attention, as it is completely vulnerable and speaks to the trust locals have in the medical teams. 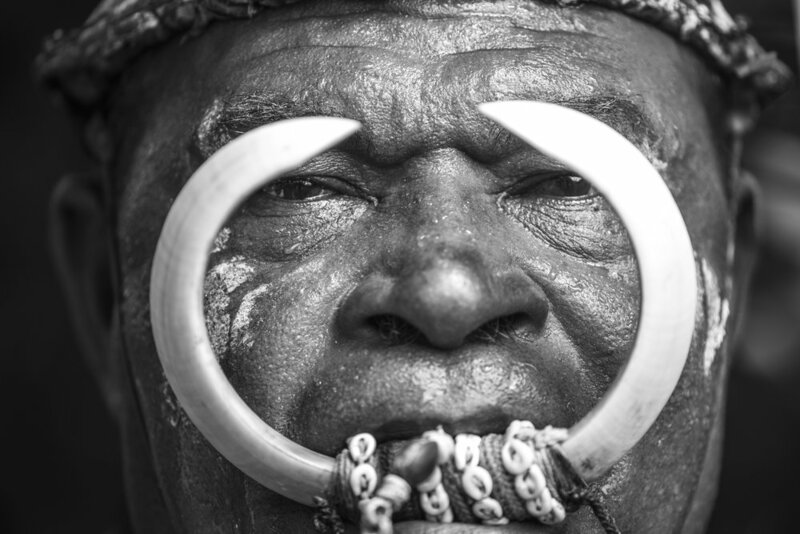 This trust has taken many years to build, as modern Papuans still have a strong belief in traditional medicine which often delays the treatment and exacerbates the condition. I saw many patients presenting so late that only palative care was a option for them. Professor Mark holds the hand of Jeffrey, a 17 year old boy who missed the surgery window due to a storm cutting power to the operating room. This severe contracture is over 10 years old, and the damage to his muscles underneath that contracture requires extensive surgery to release. During this moment, I watched the translator explain to his parents this situation and my heart slowly sank as I saw Jeffrey realise he would have to wait another year for his operation. Over the years I have become facinated by hands. 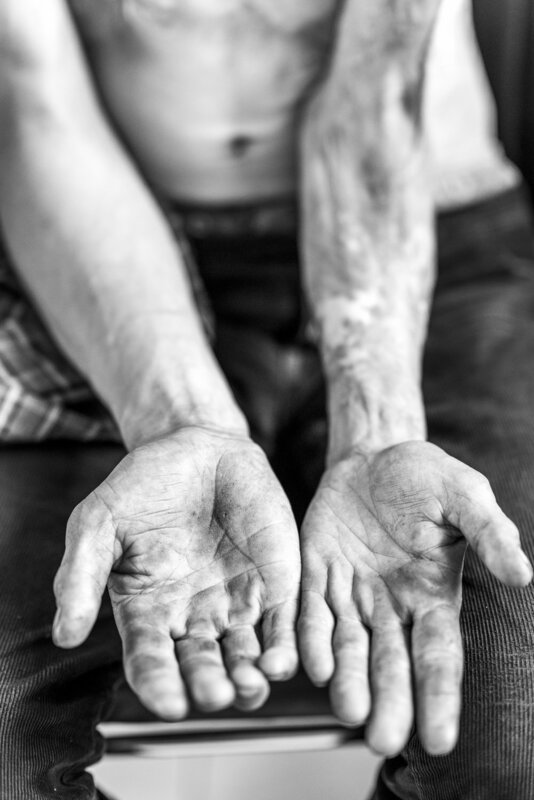 The hands that suffer, and the ones that heal and the years of functionality given back. These small moments where before my eyes I see structure, form and eventually function return to a patients primary tool for interacting with the world are privilaged moments for me. A scene that plays out every day. The hospital staff greet concerned family members through this wooden hatch, to deliver either the good news or the bad. There is an intimacy here that I watched several times, a respect for the doctors and nursing staff and a stoicism that made it almost impossible to read which way the news went. Dr Chukra, the general surgeon of Moron's hospital. Clearly an ex military man having worked previously with the UN in Sudan during the civil war. He services a hospital which looks after 300 000 in the immediate Province. Interplast have invested 3 years of training into him, and on this trip donated a Braithwaite skin grafting knife, so that he could perform skin grafts locally. I was to later learn that due to the Communist government structure, he earnt $250.00 a month as a surgeon. A young woman, with dreams of studying engineering waits for her surgery. A momentary lapse of judgment as a child left both her hands with severe burn contractures, and inhibitiing her ability to write. I think one of the hard things about being a photographer, is that every photo you take, you live. You're watching a moment unfold, and you have to take a perspective that is both subjective and objective. Most of these images I only really emotionally process after the fact, as you use the lens as a barrier. There have been many times that I feel like crying whilst covering my face with the camera - but then you have to remember why you're there, to tell someone else's story that needs to be told. A nurse peers through the window into the opeating room, waiting for her moment to wheel the patient back to the ward. Passing knowledge to local medical staff through ongoing training, empowers them to take better care of their patients against overwhelming odds. Very proud of this project - the and the privilege of being able to go to far off places to capture these stories. Thank you to Shooting Star who produced the video from my content, first of many to come in 2018.